Do you not know yet how to upload a video to YouTube? 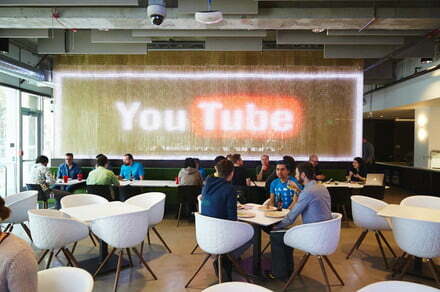 Without a doubt, YouTube is one of the platforms of video streaming are more popular. As one of the precursors of the viral videos and an industry that generates billions of dollars, has given fame and fortune to the so-called YouTubers, or transformed the life of many people -for good or for evil – in the night to the morning. That means that if you want someone to see any production that you did, either to become an influencer, to promote your vlog, your music, or to disclose any video that you want to do popular, it is essential to have it in this platform. However, if you are completely new to the scene of streaming, it is possible that you are wondering how to upload a video to YouTube, so, to help you, we’ve put together this handy guide that will take you by the hand step-by-step. Note: For the purposes of this guide, we will assume that you have already created an account with YouTube/Google. Before you start, you will realize that you can’t upload a video to YouTube if you have not logged into your account. To do so, go to the home page of YouTube and click on the login link in the upper right corner. If you have multiple accounts associated with the device that you are using, you will be prompted to choose the account that you prefer to use. Once this is done, enter your password and you will return to the main page of YouTube. Now you’re ready to upload your first video. The next step is even shorter than the first: you just have to click on the load button. It is also found in the upper-right corner, and is represented by an up arrow with a line under it. That will take you to an upload page dedicated, in which you’ll be able to choose which is the source from which you want to upload your video to YouTube. The upload page gives you a few different options to choose from and all are worth to be considered. For a start, you must decide who you want to be able to see your video, and adjust the privacy settings accordingly. For example, if you would like that any person can see, your choice should be the settings “Public” in the middle drop-down menu. If you want to have a little more control over who sees it, the selection of “Hidden”, preventing it from being found through searches. In its place, people would have to do is click on the direct link or go to your channel. If for any reason you’re looking to keep the video private only to you, as to save it to your subsequent presentation, you choose to make your video “Private”. After doing so, you can choose the option “Scheduled”, which allows you to choose a date and time in future so that your video becomes public. Once you’ve made a decision about who can see your video, you must select from where you’re moving. Do you want to import it directly from Google Photos,Dropbox , or iCloud? Do you prefer to upload it directly from your device, or stream it live? You will see that there are specific options in the right-hand side for live streaming and import, but if you’re like most people, you’ll do it from your local device. For that, click on the arrow on the large white with a gray background in the center of the screen, and find the video you want to upload in your various files and folders. Get ready, because once you have confirmed the video that you’re uploading, you’ll be taken to the upload page. You will see a progress bar at the top of the screen, which will allow you to know how much has loaded and how much time is left to complete. Depending on the length and quality of your video, that can take some time, but while YouTube does its magic, you can begin to prepare you for the stellar moment. You must think of what title you’re going to put, write a description, and add any tags relevant that you believe that you need to help the general public to find it. There is also a button where you can add it to any list of specific reproduction. For those who want to dig a little deeper into the functions of loading your video, the tab “Translations” allows you to enter translated titles and descriptions for YouTubers around the world. The “advanced Settings” allows you to control various aspects, such as the category, if you allow or not comments and ratings, if the video is in 3D, and other options. All these interesting aspects of the handling of uploading videos to YouTube can help them to be more inclusive and relevant to your audience, but they are not a need simply to upload a video online. Unless you have a verified account you will not be able to be too creative with the thumbnail images that identify your video, but that doesn’t mean that you have no other options. Once your video is uploaded and processed completely, you’ll be able to choose from three thumbnails to select. Choose your favorite and click on the blue button that says “Ready” or “Publish” to finish. If you want to share the video privately, you can click on the “Share” button to the right. From this moment, your video is already on YouTube and is available for all to see (publicly or not, depending on your preferences). However, if you want to make a change in the future, all you need to do is go to “Creator Studio”. You will find a link in the drop-down menu when you click on your account, in the corner of the top right. From there you will be able to view your videos, the amount of reproductions and other analysis of your channel. You can also click on any of the individual videos that you would like to edit, or click the “Video Manager” in the left-hand side, which gives you full access to any tool you might need, as well as more details and a general description of each video you’ve uploaded. What are the best backpacks for laptops on the market?